Here’s a very enjoyable and chunky salsa with a good kick to it. 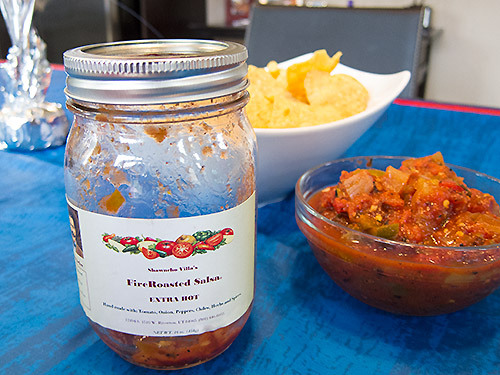 Sancho Villa’s fire roasted salsa is refreshing with an original taste. This salsa is great for any general use, from dipping chips to using as a topping for mexican food, chili, and more. This salsa claims to be extra hot, but since I can eat the heat equivalent to molten lava, I don’t think it is “extra hot.” That said, everyone else who tried it at my last get together said it was quite hot.